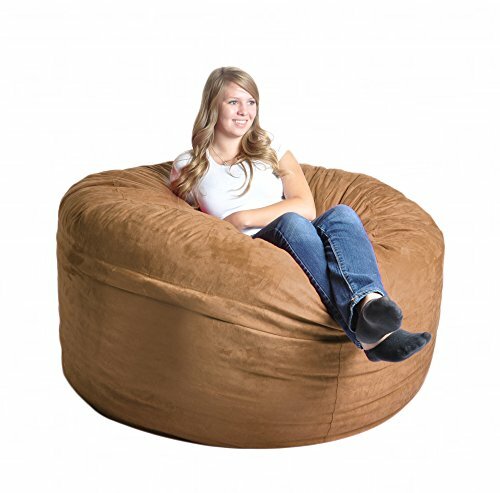 Our high-end SLACKER sack foam large beanbag chairs are the most comfortable, fun and versatile pieces of furniture you can find. Perfect as a 1 Person/2 Small Children chair for any part of the house. Our generous amounts of high quality shredded (not chunk) foam and durable Microsuede covers ensure the highest quality product. We use a very strong zipper for extra strength and all the seams are double stitched. We have virtually ANY COLOR you need in sizes 4', 5', 6' and 8'. As a 4th Generation furniture manufacturer, we stand behind our product 100%. Made in America. Free Shipping. If you have any questions about this product by SLACKER sack, contact us by completing and submitting the form below. If you are looking for a specif part number, please include it with your message.